When Jasper Bones’ manager informed me that on a previous tour run he returned home to Los Angeles “raving” about his stop in Chicago, I knew this was a conversation I was eager to have. At Tropicália Fest (and after his set), I asked Jasper about his visit to the Windy City. “... I loved it. The downtown area was really cool. We played at Subterranean - that place was nice.” He went on to explain that before his set, he walked outside of Sub T looking for a snack. A donut shop (later identified to be Stan’s Donuts) grabbed his attention. “I remember walking in there and I was like ‘oh cool I can't wait to try something that’s unique to Chicago.’” Ironically, like Jasper, Stan’s donuts is California-bred, a fact which Jasper didn’t realize until his order was already placed and he spotted a mural with text that read: “Originated in LA”. Jasper has been musically active in Los Angeles, playing a number of shows in the city’s buzzing scene. 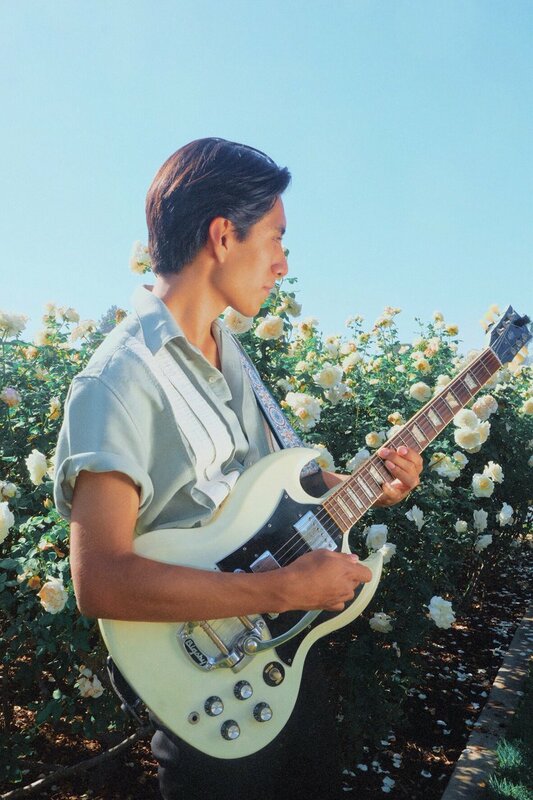 His music continues to gain him support from both listeners and artists from around the country, including other Chicano names such as Cuco (Omar Banos), Omar Apollo, and VICTOR!. Fusing vocal influences from R&B and Soul, and instrumental inspiration from Blues and Jazz, Jasper Bones’ admiration for these models leads him to be a standout artist who’s pushing the boundaries of genre. With his upcoming Project Cruise Control scheduled to release November 30th, Jasper is looking to make an even larger imprint in the music community with his trademark style “Chicano Wavy-Soul”. 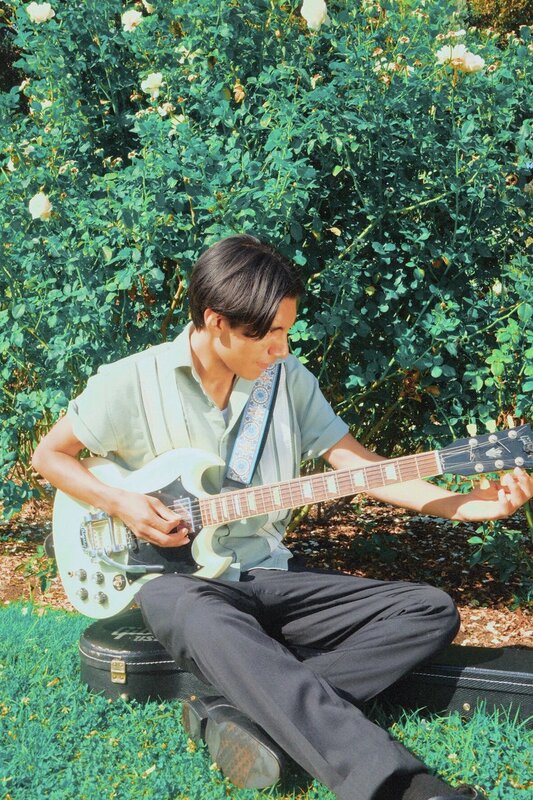 The beginning of Jasper Bones’ journey starts with the guitar, the first detail of his performance at Long Beach’s Tropicália Fest that struck my attention. Lifting the guitar high, he strummed it’s chords in a flashy manner, carefully moving the guitar behind his head and proceeding to play the instrument. When I asked Jasper about playing the guitar that way, he instantly smiled: “[laughs] That’s something that I’ve learned over the past few years...”. Playing since he was 9 years old, Bones admits his relationship with the guitar lacked consistency in his early encounters with the instrument, informing me that he took breaks in between his now 11 years of playing. It’s nearly impossible to have guessed he hasn’t always known how to play the guitar behind his head, nonetheless ever been separated from one. For most of the year, Jasper has only had three tracks to support his individualistic sound. In his fourth and most recent release “Someone Like You” (released November 16th), Jasper’s vocal capabilities stand out just as his guitar instrumentation does. “I Can’t Stay” and “What’s Your Secret” take listeners through (what seem to be) specific sentiments of love. While the lyrics of each track clearly tell a story of walking away from love or admiring a crush, each song’s tempo aligns perfectly with the emotions he's portraying. In “Oscuridad”, a faster tempo accompanies what I interpret to be feelings of frustration. The song discusses not finding a lover and staying in a phase of darkness, where his second verse (completely in Spanish) addresses an unrequited crush. 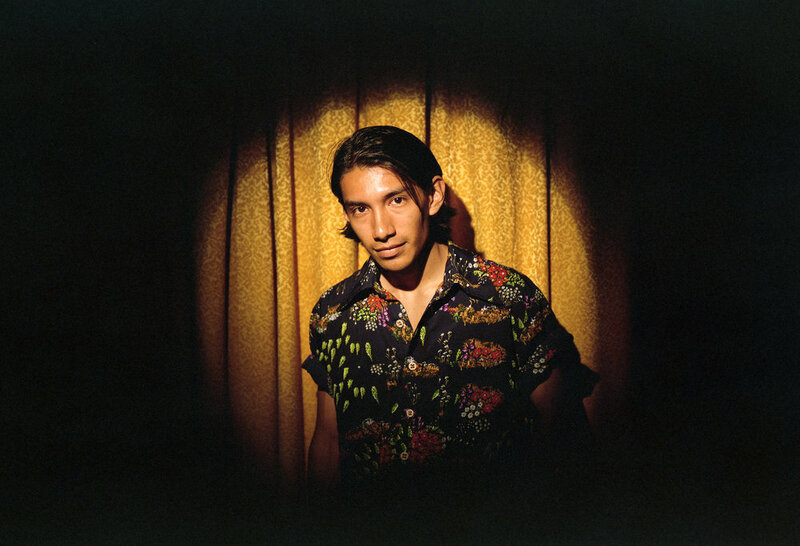 The topic of romance, be it love lost or love gained, is a familiar subject in Jasper’s music, which he notes will be a consistent theme on his debut project Cruise Control.